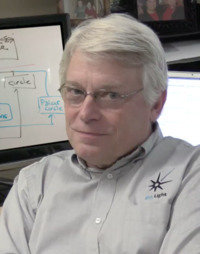 Robert Cecil Martin, commonly called Uncle Bob, is a software engineer, advocate of Agile development methods, and President of Object Mentor Inc. Martin and his team of software consultants use Object-Oriented Design, Patterns, UML, Agile Methodologies, and eXtreme Programming with worldwide clients. He was Editor in Chief of the C++ Report from 1996 to 1999. He is a featured speaker at international conferences and trade shows.